This Is The Way The Lady Rides is the liveliest of the knee bobbing songs And as all babies and toddlers just love being bounced on your knee, it ticks all the boxes! 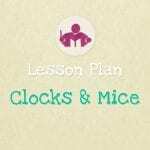 This song is great for teaching contrasting tempos and great for getting the kids up and moving which always goes down well! THIS is the way the Farmer rides……. Start in a controlled way as you pretend to be the pretty lady out daintily parading on her fine horse. Then increase your speed and vigour as you turn into the gentleman smartly trotting. Finally you give it everything you’ve got as a mad galloping farmer who falls off down into the ditch! Your little one will soon know what to expect, and will love the anticipation of the big bounce at the end and dip down between your knees! Babies and toddlers love to sing this song being bounced on your knee, first gently, then faster and finally so fast that they have fallen off the horse. It’s all about the build up and suspense because they know what’s coming, and never tire of being dangled down between your knees. With slightly older children, you can do a bit of horsey role-play. Using the rhythm sheets you can point out the three characters from the song. 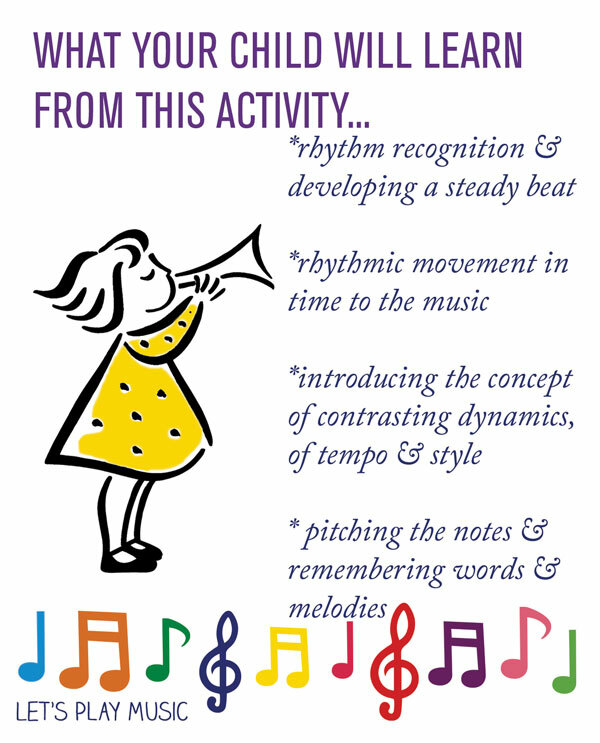 This is an excellent way to introduce children to tempo and dynamics. 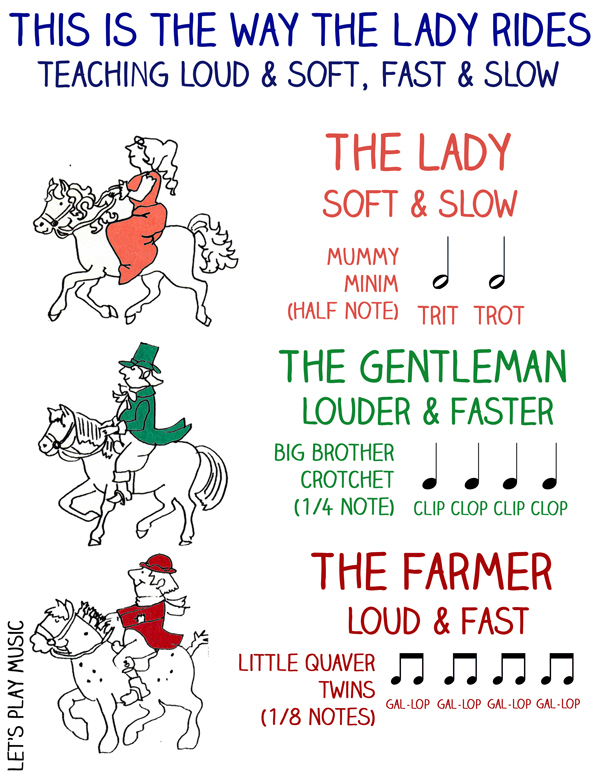 The Lady is slower and quieter, the Gentleman slightly faster and louder and the Farmer very loud and very quick! Describe how different they are, and how differently they move; ask the children if they can recognise who is who, and how fast each of them goes on their horse? Then using some magic on your feet you can encourage everyone to climb onto their imaginary horse and with the help of some coconuts, or some wooden tone blocks, you all start trotting round the room. Sing the song as you go, and they’ll will soon catch on, until everyone is madly galloping and ends up tumbling down into a chaotic heap of arms and legs! To print This Is The Way The Lady Rides, click here or on the image above. 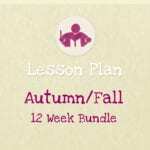 If you’re looking for activities like this for slightly older children, check out our horse rhythm game with imaginative movement here and check out my Horses lesson plan for inspiration on how to use This Is The Way The Lady Rides with other related activities in a music lesson. I would add an element to this fun riding song for a young child that you can easily move around. I would start them out by sitting sideways on my knee because elegant women rode side-saddle. Then I would pick them up and flip them to sit straddling my leg for the next two “riders”. This won’t work when the child gets a little bigger but it would be fun while they were little. That does sound fun! 🙂 It’s a great opportunity for some imaginative movement for older children too!